If you would like to promote your business here – it is one of the benefits of the Pro Membership. Once you are signed up, let us have the information you would like to see below to promote your business. These are the links to Pro Member Sites and a brief summary of what they have to offer. Click on any member name to be linked to their site. Mahalo. 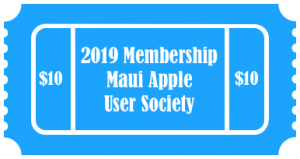 Maui’s On-Site Apple Support, Training and Service. Rick is an Apple Certified Technical Coordinator and Hawaii’s only Apple Certified Trainer for IT certifications. You can reach Rick at 808.280.1587.